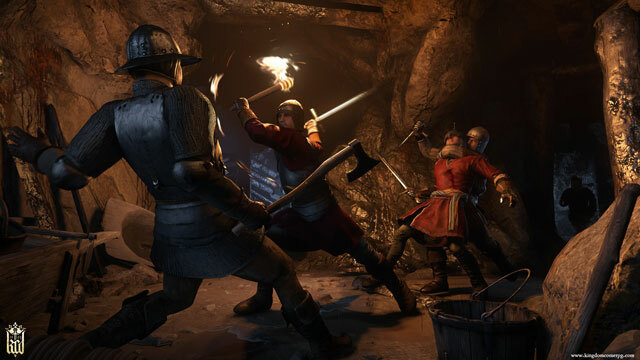 Console commands in Kingdom Come Deliverance are a way to finely tune the game’s settings, but also to cheat by giving yourself money, turning off gravity and such. They’re only available in the PC version. They were a way to get around bugs and glitches in the alpha and beta versions, but they should be pretty useful in the final release as well. In this guide, we’re going to show you a list of Kingdom Come Deliverance console commands. We haven’t been able to confirm which ones work and which ones have been removed since the early days, so we’re going to give you a list of all the commands that worked in the alpha/beta. We’ll update the guide once we’ve had the chance to try them out ourselves. To use the console, press ~, then input the code and press Enter. cl_showHUD 0 – Disables HUD. Change 0 to 1 to reenable. r_MotionBlur 0 – Disables motion blur. We’ll update this article once we know more. If you figure out a command we don’t have on our list, feel free to share it in the comments. The money and add item cheats are disabled and don’t work. Just fyi. I’ve taken them off the list, thanks.